Colonel Robert Gould Shaw clutched the sword in his hand until he was killed in battle by enemy troops at Fort Wagner. Anne Bentley, curator at the Massachusetts Historical Society, said that in her business, it’s rare to come by an artifact with such historical importance that it raises the eyebrows of industry colleagues and gets them to circulate e-mails with the word “WOOHOO” written in all capital letters. But Bentley recently had her moment. The organization announced this week that it acquired the Civil War sword that Colonel Robert Gould Shaw — the white commanding officer of the 54th Massachusetts infantry, the North’s first regiment composed of only black enlisted soldiers — bravely clutched in his hand until he was killed in battle by enemy troops. The sword will be put on display at the society’s headquarters in Boston on July 18, more than 150 years after Shaw died as he led the regiment into battle at Fort Wagner, near Charleston, S.C. It will be housed in a gallery along with other items tied to the legacy of Shaw and the regiment, including letters the colonel wrote. Bentley said the precise whereabouts of the sword, stolen from Shaw’s body shortly after he was killed during what’s known as a pivotal point in the war, have long been a mystery to historians and Civil War buffs. But in March, three great-grandchildren of Susanna Shaw Minturn, Shaw’s sister, discovered the sword in an attic as they cleaned out the family home. 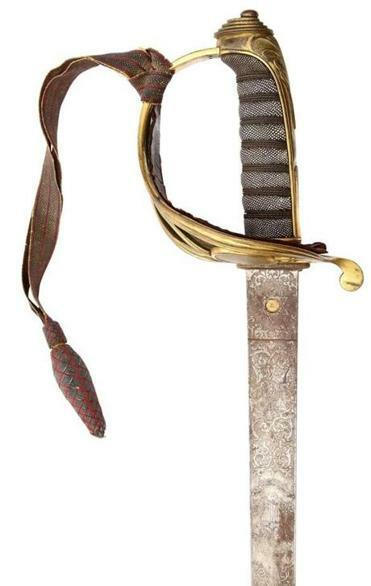 By April, Shaw’s descendants reached out to the historical society about the rare item, having recognized Shaw’s initials engraved on the sword, and gave it to the organization. The family has donated other materials related to Shaw in the past. “To have located ‘the holy grail of Civil War swords’ is a remarkable discovery,” Dennis Fiori, president of the historical society, said in a statement. Fiori said through meticulous research, headed by Bentley and staff from the society, they were able to piece together a detailed timeline of what happened to the sword and confirm its authenticity, tracing its roots all the way back to England, where it was forged. 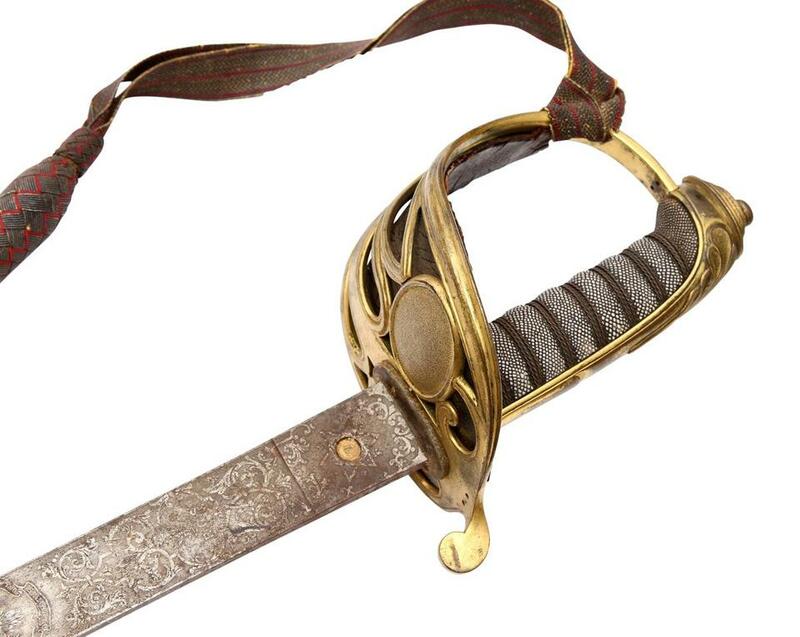 The historical society described the journey of Shaw’s sword from the battlefield to their personal collection of Civil War items as a “detective story filled with plot twists and ‘ah-ha’ moments” — but one that proved to be worth the long wait. Boston is home to a memorial dedicated to Shaw, the son of abolitionists, and to the heroic group of black soldiers he stood alongside in battle. The bronze tribute is located across from the State House on Beacon Hill. It depicts Shaw riding a horse as he holds a replica of the famous sword by his side. The memorial was unveiled in 1897 and was created by artist Augustus Saint-Gaudens, according to the National Park Service’s website. The story of the regiment was retold in the Oscar-winning movie “Glory” in 1989. The film starred Denzel Washington, Morgan Freeman, and Matthew Broderick, who played Shaw.